NOTE: We highly recommend to keep the slider within the recommended range. 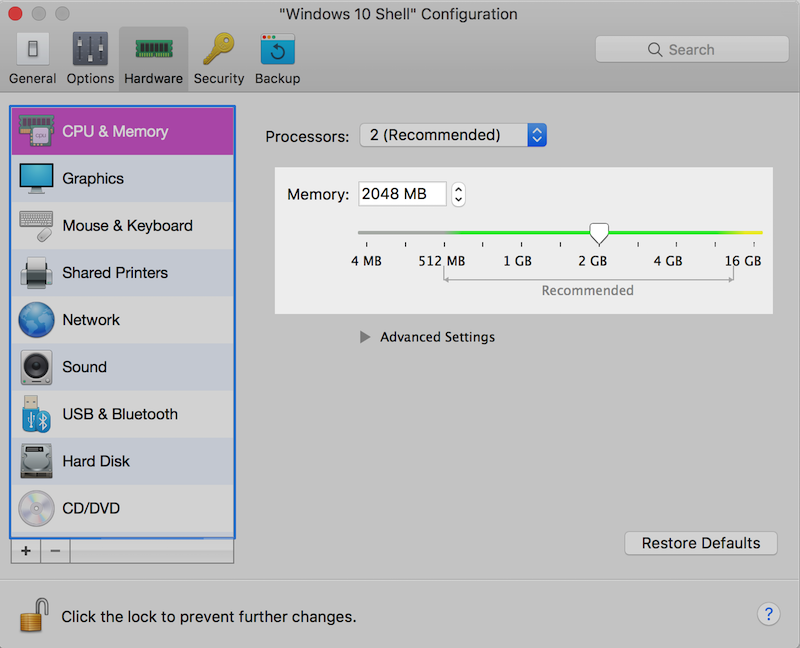 Assigning more RAM than recommended may cause severe performance degradation of both Mac and virtual machine. Close the configuration window and feel free to start your virtual machine. To learn more and virtual RAM management in Parallels virtual machines please visit KB 122705.